I know I've mentioned this before but the Deano Sounds/Mood Mosaic Podcast is coming soon. I promise it will be up and running by next week. I've just got to edit my mixes for quality and sign up with Godaddy.com for their podcasting service. I'll even post two or three of my archived mixes to make up for the lack of podcasts. I know it has been a little while since I've posted any mixes up here but I have a nice little treat for ya'll that I just created. A nice live mix of funky music from all continents. 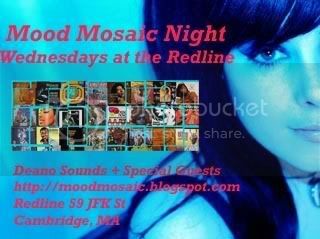 A little African funk, Brazilian funk, Soul Sister funk, Disco funk, and rocky funk. This is a full on uptempo funk mix, not for the faint of heart. 2. Margaret Singana - Why Did You Do It? This awesome duo of DJ Cuebism and Gloria drop some of the rarest and sickest disco, funk, and soul around on their radio show. DJ Cuebism originally started out as a DJ spinning mostly electronic music but soon tried of that genre and began investing all of his money into weird disco records from New York circa the late 1970s. He even had his weird looking disco records shown at an art show in Hamburg, Germany in 2004. This led to the creation of the Ebony Cuts Radio Show on Hamburg's Tide 96.0 FM and online. DJ Cuebism is accompanied by the lovely voice of Gloria. Their radio show has been host to some superb DJs from around world including; DJ Coolcut, Al Kent, DJ Friction, Dan Zacks, Kisyohi Urano, and Disco Patrick. For more info and to hear some of their great mixes go to www.ebonycuts.com. 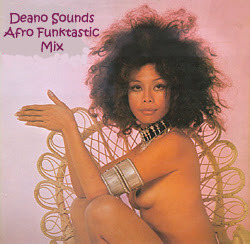 There are also some cool clips of rare disco for you to sample as well. Here is an article I wrote for a great new web publication on dance/dj culture called ToTheDisco. "The Blackpool Mecca was never as popular as the Wigan Casino but it did kick start Ian Levine's career and gave him an audience to play his rare and unique brand of northern soul to. This helped lead to the development of "the trainspotter." The Blackpool Mecca was opened in 1965 and began as a huge concert/dancehall holding up to 3,500 people. By the end of the sixties the attendance numbers were considerably lower. It wasn't until the early seventies that the Blackpool Mecca or more specifically the Highland Rooms (where the actually dancing took place) started to build up it's attendance numbers. It was here that the DJ take chances as Levine did during his tenure at the Blackpool Mecca. Levine started DJing there in 1971, took a break in 1973 to DJ at the Golden Torch before returning to his residency at the Mecca. DJing along side Colin Curtis they remained the residents at the Mecca until the end of the decade. Levine had one major advantage over his DJ competition and that was the resources and money to travel to America to get the rarest soul records. Being a soul fanatic or more specifically a Motown fanatic he would seek stores selling records on his trips to America with his parents. Mainly travelling to Miami, Ian picked up records by JJ Barnes, and San Remo Golden Strings before DJs were spinning them in clubs. Some of the key tracks that Levine spun first were; James Fountain's "Seven Day Lover", JJ Barnes' "Our Love Is In the Pocket", and "Hit and Run" by Rush Patrice. Levine was an innovator not only because he was playing rare records but because he was playing records that fit in with the northern soul sound but pushed the boundaries into the direction of disco and funk. One of these such records was "It Really Hurts Me Girl" by the Carstairs which sounded like the missing link between northern soul and the Philly sound. The first sort of modern soul record. It was this sort of push that challenged Ian and his audience to evolve from the northern soul stomper sound towards something different. 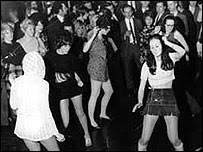 Unfortunately not everyone agreed that this music should be played at a northern soul club and the Wigan Casino crowd deemed it "disco shite" and continued with the strictly soul stompers"...For more click here.